My vitamin D level is 17! Great Site by the way. I'm happy that I finally found one that gives some valuable insight into this unlikely deficiency. I have had quite a few things going on lately, very unusual for me as I am very healthy generally. My cholesterol is at 268 and during that blood work my Doc discovered that my vitamin D level is 17. He is recommending that I take a supplement of 5,000 for 3months along with a statin and then we will recheck the results of both. What could be making my vitamin D level so low? It can't be for lack of sun as I am a gardener currently and get more than enough of outside time. I eat a diet that is mostly chicken and fish and lots of fresh fruit and vegetables. I haven't paid much attention to my lower back pain and my legs being unusually stiff for me as I am 51 and do work pretty hard for a living. However, after reading your site I started wondering if the pain I am experiencing is normal. I would appreciate any insight that you may have. Comments for My vitamin D level is 17! Thanks for the compliment about my site. I work hard to give excellent quality information to help people like you. Without knowing the exact levels of your 'good cholesterol' and 'bad cholesterol' a cholesterol level of 268 is insignificant. 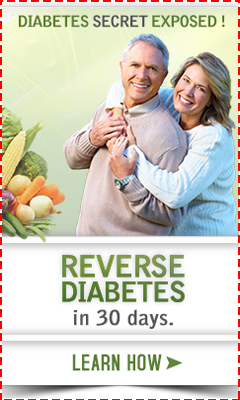 And there are MANY other ways of lowering your cholesterol level without taking statins. Statins DO have downsides and risks that are not much talked about such as Statin Drugs Muscle Weakness. Also, a well known side effect of Statin use is Coenzyme Q-10 deficiency. CoQ-10, also called Ubiquinol, is required for every cell in your body to produce energy- and statins deplete this essential nutrient. It's depletion can cause muscle weakness, muscle pain and fatigue- side effects that most people are experiencing already!! So, it's not a 'light' decision to make to go on a statin and you should do some extensive research on the subject as well as possible alternatives. Next item: Your vitamin D is low because you don't get enough Vitamin D! You say that you are getting out in the sun enough to get plenty of Vitamin D, but that is obviously not the case!!! Whether you are using sun screen, covering up most of your skin or live North of 37 degrees latitude and aren't able to make Vitamin D for 6 months out of the year, I don't know. But as people age, they also make less Vitamin D from the same amount of sunlight. So, you could have a number of these factors that you need to take into consideration. 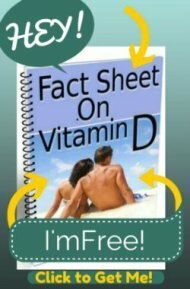 Just like you, most people are shocked to find out that their Vitamin D Level is Low. I hate to tell you this Nita, but your diet may not be as good as you think. You say that you eat "Lots" of chicken, fish and vegetables. But how much fish do you eat? You would need to eat several servings of fish a day to get the Omega 3 fatty acid requirements that most people need. And if you ARE eating that much fish, it's likely that you are getting too much Mercury!! It's hard to know what's right to eat. But I can nearly guarantee that you are not getting the Omega 3 fatty acids that you need every day, and it's likely that that is one of the reasons that your Cholesterol Level is high! So, really it's unlikely that your diet and lifestyle are really as 'healthy' as you think that they are. But it's not your fault, there is so much misinformation out there about Vitamin D, cholesterol levels and diet that it is nearly impossible for the average person to sort through. But it's clear that something needs to change, right? Your pain, high cholesterol and low Vitamin D levels are trying to tell you something. My good and bad cholesterol levels were off along with my glucose. I did the Viatamin D and all my labs straightened out. Don't do cholesterol lowering drugs, the Side Effects of Statins damage blood vessels and muscle tendons in your legs.